Are you ready to go back to school? Paul Gehring invites us to enjoy the excitement and freshness of being young with his latest collection. The spirit of the teenage years and of spring are captured in simple cuts and bold, crisp colors with classic stylings. Compact short cuts and long dreamy looks satisfy the most common desires for hair and they come in varieties to please even the most discerning personalities. Fun and happiness are the common thread in all of these creations. 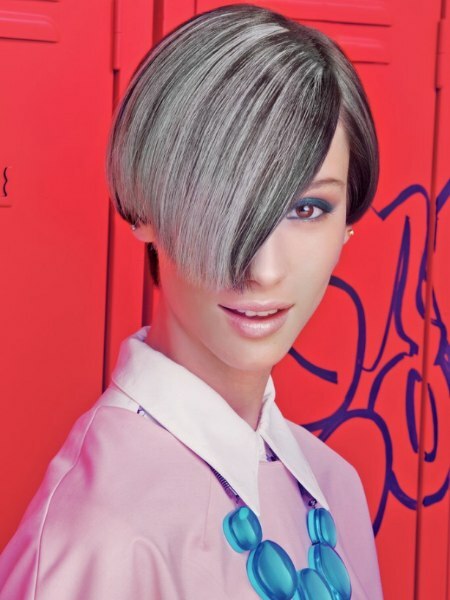 Pastel and metallic hair colors appeal to the senses and a little pinch of retro is always a winner.